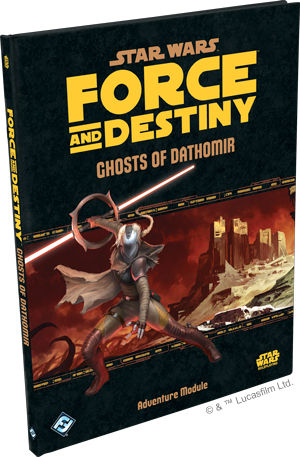 Fantasy Flight Games is proud to announce Ghosts of Dathomir, an all-new adventure supplement for the Star Wars™: Force and Destiny roleplaying game. The absence of the Jedi Order has cast a veil of darkness over the galaxy, leaving those sensitive to the Force wandering without guidance. It is a dangerous time to be learning the ways of the Force, seeking the scraps of Jedi teachings while avoiding persecution at the hands of the Empire and temptation of the dark side. 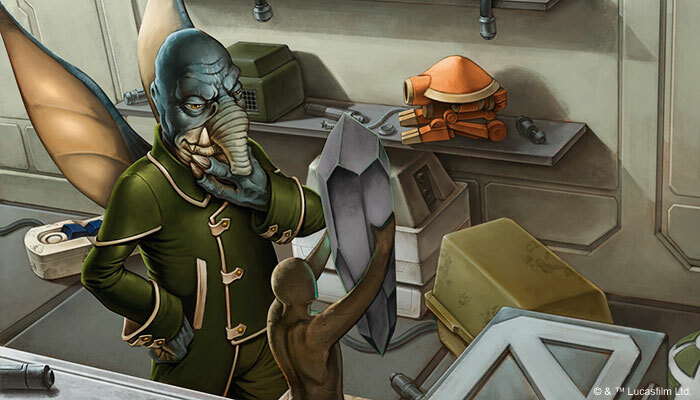 In Ghosts of Dathomir, unraveling the history of a statue with ties to the Force could lead you to either great power or your own destruction. Which is your destiny? Fittingly called Tragic Hope, a mysterious statue has appeared up for auction on Toydaria, and you and your party aren't the only ones with an interest in its future. Can you trace its cryptic path while avoiding entangling yourself in Hutt politics or Imperial affairs? And what of Jerserra, the vicious mercenary who wields the Force in terrifying new ways? She seeks Tragic Hope with a passion that suggests a personal stake in the statue and seems to know more about its whispered ties to the dread world of Dathomir. At the start of Ghosts of Dathomir, you and your associates find your way to the Mid Rim planet of Toydaria in search of the statue, eager to learn of its potential ties to the Force. You soon find it, and the exotic arms dealer Walisi, have both gone missing, and you must now track them down. Walisi's ties to the Gorensia Hutt Kajidic mean he's already being searched for, leaving you to tread carefully to avoid involving yourself in—or instigating—a war between Hutt families. Take too much care, however, and Jerserra could beat you to both the dealer and the statue, before you ever lay eyes on it. Were that not enough, Jerserra's trail of bodies has caught the attention of the ISB, all but ensuring you'll cross paths with Imperial forces. Ghosts of Dathomir begins simply, with the pursuit of an artifact rumored to possess ties to the Force, but the true nature of Tragic Hope and the mysterious shard the statue holds aloft will take you to the furthest reaches of the galaxy, to a planet that is all but forgotten: Dathomir. What do the Dathomirian witches, the Nightsisters, have to do with Tragic Hope and the legacy of destruction surrounding the statue? How is Jerserra tied to Dathomir and the statue? How will you even escape Toydaria to begin to answer these questions without finding yourself rotting in the bowels of a Hutt dungeon? Your quest for Tragic Hope will take you from the familiar dangers of Hutt-controlled Toydaria to the dark and forgotten Outer Rim planet of Dathomir. For centuries the Dathomirian people have communed with the Force using their own mysterious methods. Neither Sith nor Jedi, these Force witches call themselves the Nightsisters and rarely involve themselves in the affairs of outsiders. Dathomirians live in clans scattered across the planet, with the exception of an area they refer to as The Haunted Lands: the former Oteroan Zero-Twenty mining colony. Reclaimed by Dathomir, the ruins of the mining colony are infested with sickly yellow-green ghosts, terrified manifestations of some long-past tragedy. The land practically quivers with fear, leaving even the most passive creatures eager to attack. The water-dwelling sprantal spits a sticky, immobilizing venom to capture creatures searching for a clean drink of water, and it's not afraid to leave the pond to chase down a meal. 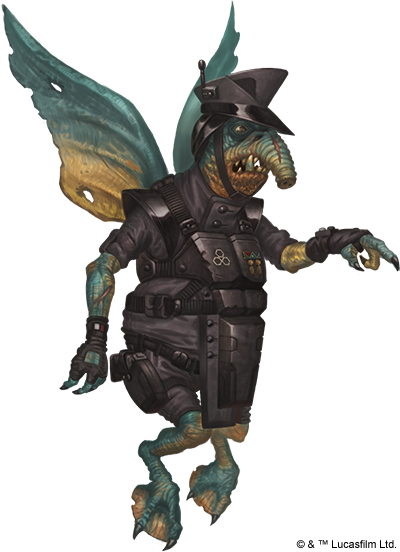 Belonuks roam the lands on all fours, featuring bone-like armor and needle-like teeth designed to pierce even the toughest hides of prey. The Haunted Lands could even leave creatures like the belonuk or the sprantal corrupted by the dark side, more powerful and more deadly. Do you navigate the treacherous wilderness of Dathomir and explore the crumbling ruins of the mining colony for answers or allow Jerserra to take whatever it is she is seeking and grow even more powerful? Star Wars™: Force and Destiny has introduced you to the light and dark sides of the Force, the Jedi and the Sith, but rarely are things so simple. Recover Tragic Hope and discover its ties to the Force and the desolation of the Oteroan Zero-Twenty mining colony. 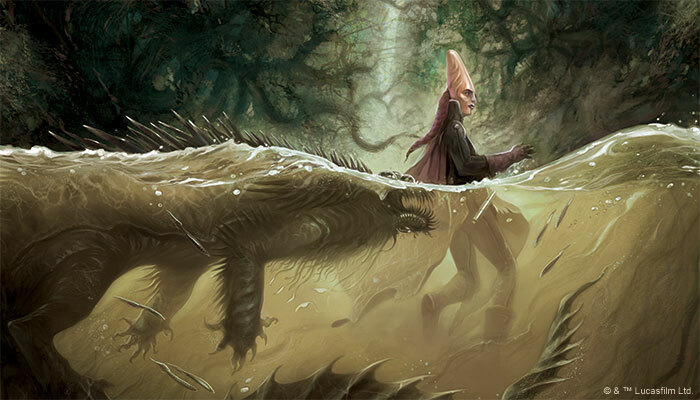 Confront Jerserra before she discovers its powers and takes them for herself. If you make it out alive, you'll leave with secrets of the Force known to but a few beings in the entire galaxy. Adventure is waiting for you. Ghosts of Dathomir will be available in Q1 of 2017. Check back to our website for more information soon.